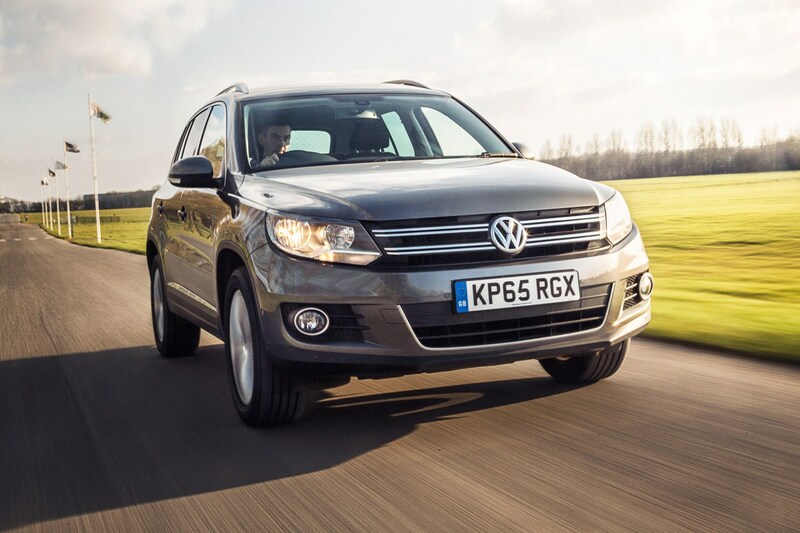 VW Tiguan (2008-on) – from £7k! The Tiguan is one of those cars that sneaks up on you. VW’s first compact SUV launched in 2008 with four trim levels and two engines; 138bhp 2.0 TDI or 148bhp 1.4 TSI. Both were exclusively equipped with Haldex all-wheel drive, the only punctuation to the handsome but generic styling coming with the rufty-tufty Escape edition. The powertrain range later swelled to encompass more powerful petrols and diesels, front-wheel-drive-only versions for reduced fuel consumption and the addition of the DSG transmission, while sporty R Line and high value Match bolstered the choice of specification. It’s not an instant thriller, the Tiguan, but those understated looks and VW’s magic aura of quality means that over time, it’s become the brand’s third best-selling model in the UK. Together with the imminent arrival of an all-new replacement, this is good news for used buyers as there are plenty to choose from and values are falling. Buy with as much diesel power as you can afford. A satisfyingly no-nonsense machine complete with that all-important VW air of worthy respectability.